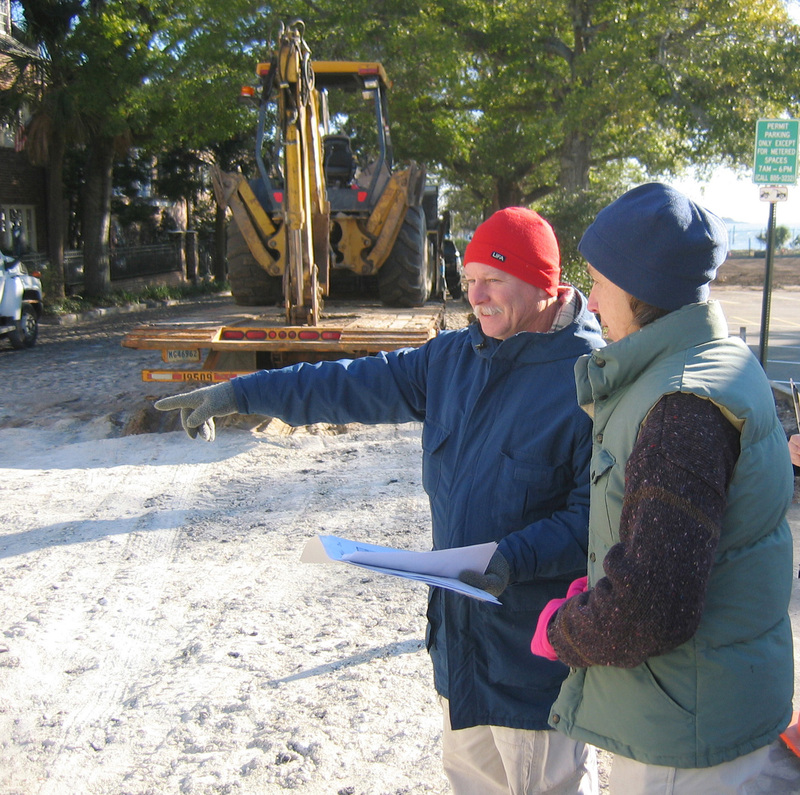 Members of the Mayor’s Walled City Task Force gathered at South Adger’s Wharf (SAW) this morning at 9 a.m. for a chilly start of the long-anticipated archaeological dig. 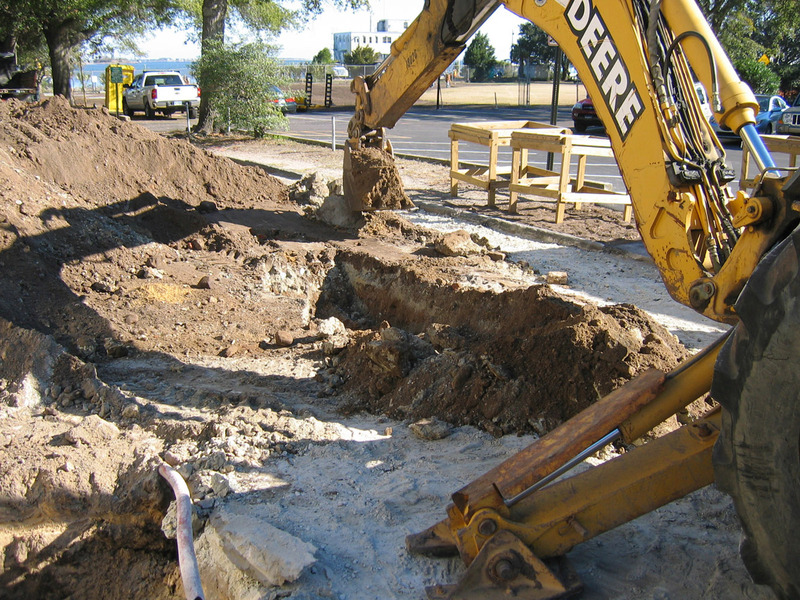 Under the direction of archaeologists Eric Poplin (of Brockington & Associates) and Martha Zierden (of the Charleston Museum), the well-skilled backhoe operators from Charleston Water System initiated the dig with a narrow north-south trench from the northern edge of the site. 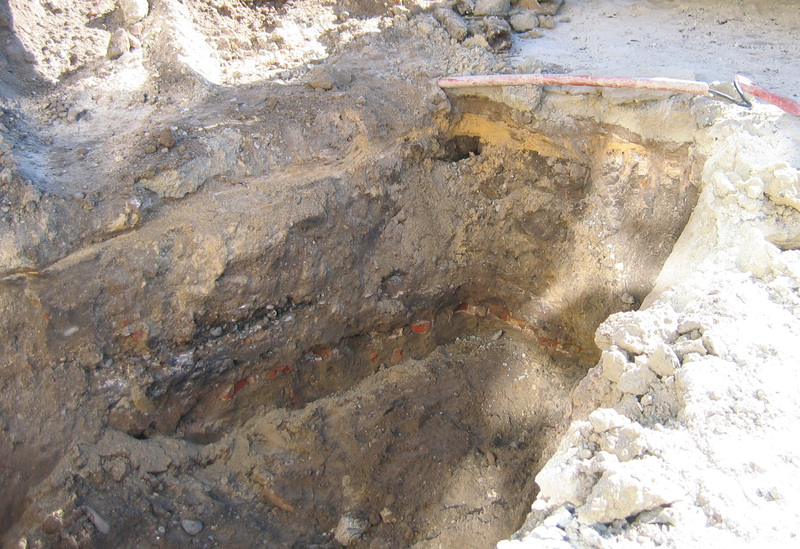 A consistent layer of brick rubble and stones was found soon within the first few feet, but after closer inspection these materials proved to be the remnants of an older street surface that permeates the site. The digging continued, and by noon the trench had been widened to the west and lengthened southward without encountering any exciting features. After lunch, the team decided to initiate a second trench, perpendicular to and south of the first. Several feet down the new trench revealed the slightly-arched top of a brick drain running east-west, the age of which is not yet clear. 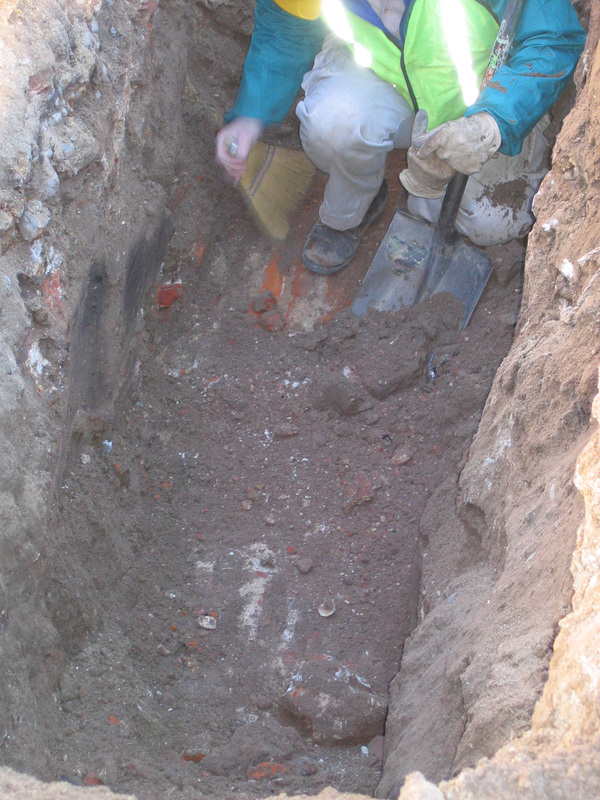 At the east end of this drain appeared to be a mass of bricks unlike anything else yet encountered. Could this perhaps be part of the foundations of the brick redan constructed on this site more than three hundred years ago? Unfortunately, the clock had expired for the day. The answer to this tantalizing question will have to wait until tomorrow.